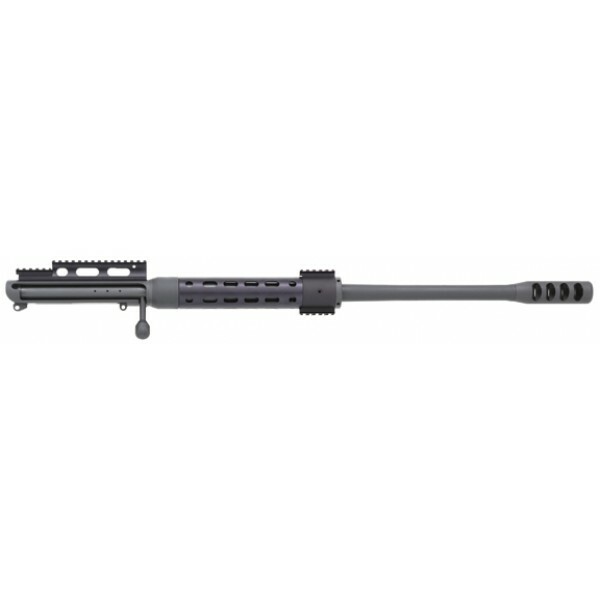 The SHTF 50 Single Shot UpperConversion system that turns any standard AR15/M16 into a .50 Caliber Bolt Action rifle. The SHTF 50 is designed to fit any mil.spec AR15/M16 type lower. 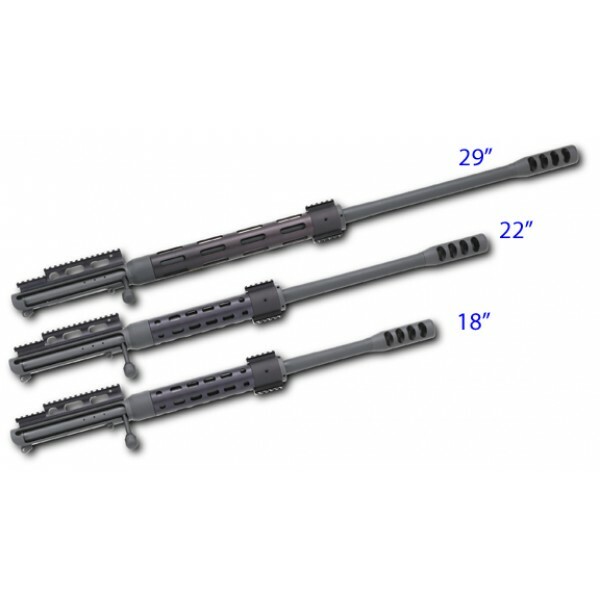 The SHTF50 also comes in 3 different barrel lengths: 18", 22", and 29". Note: AR-15/M16 lower is NOT included. DUE TO ATF REVIEW, THIS ITEM IS CURRENTLY BEING PLACED ON HOLD FOR SHIPMENT TILL FURTHER NOTICE. If you placed an order and change your mind, 20% mandatory cancellation fee will be charged (deposit for the item paid). Muzzle Brake: 8 port steel. Threaded to muzzle. Scope Mount: Aluminum with Picatinney rail profile mounted on the receiver. Bolt Body: Machined from 4130 Chromemoly tubing. Weight does not include weight of the lower.